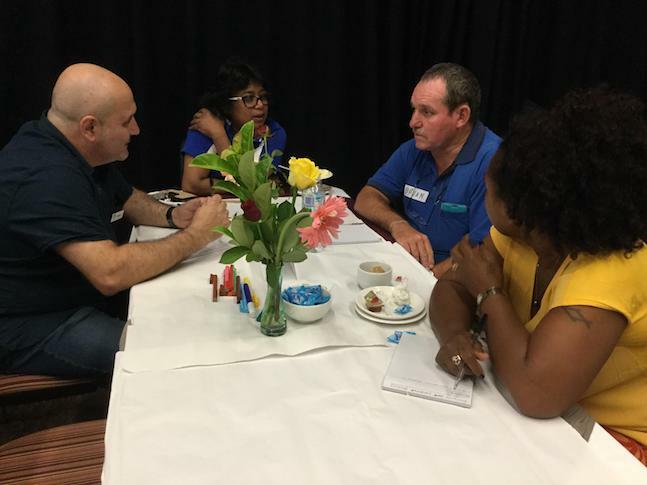 PaCSIA has partnered with Anglicare Southern Queensland to conduct Community Café Dialogues in the Ipswich and Lockyer Valley areas of South East Queensland. The project is led by Dr Joseph Hongoh and Ms Casey Crocket. The first community cafe dialogue under the Ipswich-Lockyer Valley Dialogues project took place on the 7th October 2016 from 10:00: a.m. to 2:00 p.m. at the Salvation Army Employment Plus Hall, Smiths Road, Goodna. 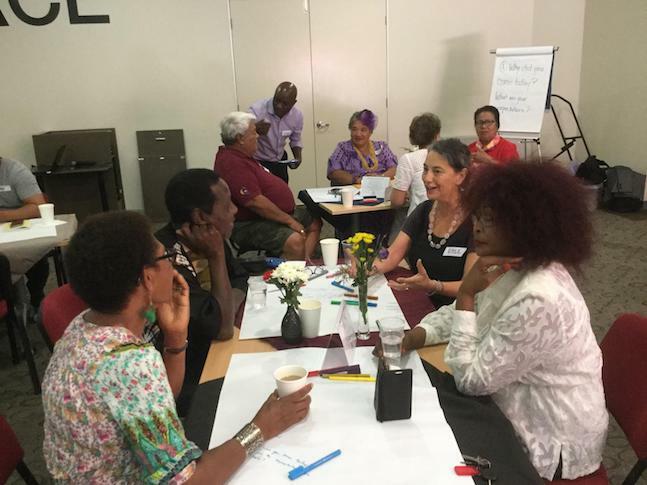 The aim of Ipswich-Lockyer Valley Dialogues project is to build stronger and connected communities through a series of community dialogues. The population of Culturally and Linguistically Diverse (CALD) communities in both Ipswich and Lockyer Valley has grown steadily over the years. There are now many communities particularly from Africa, the Indian sub-continent, and the Pacific Islands in Ipswich, Inala and the Lockyer Valley. This has not only increased cultural and linguistic diversity, but also enabled the expansion of residential facilities and demand for more social services. Crucially, while such cultural diversity creates possibilities for vibrant social living, the connection among communities and between communities and existing services remains weak. As a result, many communities may not be aware of the issues that face other communities or particular avenues that may be explored in addressing the issues they face or accessing available services. This project is designed to provide a community-led entry point for building, strengthening and sustaining connected communities so as to harness the potency of identifying common challenges and tapping on community networks to address the challenges. It further aims to provide space for CALD communities to welcome and connect with each other; to give a voice to CALD communities and determine pathways for addressing common challenges. It creates space for experience sharing and setting common agenda for CALD communities in the regions and establishes a pathway for conflict resolution and relationship building. In line with the project implementation strategy, this first dialogue gave the space for participants to build connections across cultures, identify the challenges they face as a community and their potential for working together to address the challenges, and prioritise issues for follow up in the next dialogues. A total of 47 community leaders and service provided attended the dialogue. Some of the issues identified for future discussion and community action included: conflict resolution, employment and training, leadership, community gardening, communication and creating awareness on emerging issues, and dialogue with service providers and government departments, in particular, Immigration and Border Protection. Participants also noted the need for building connection and community action groups to address emerging issues. For instance, it was noted that while a number of people had acquired relevant training in areas that have been identified as potential in terms of jobs, they are yet to secure employment. It was noted that this is partly due to the fact that some training institutions may not be providing the skills required the job market. It was also noted that lack of interaction between government departments and local communities had led to spread of inaccurate information on such areas as immigration. The second Community Café Dialogue under the Ipswich/Lockyer Valley Dialogues Project took place on the 29th October 2016 from 10:00: a.m. to 2:30 p.m. at the Lockyer Valley Cultural Centre, 34 Lake Apex Drive, Gatton. The Lockyer Valley Dialogue was particularly significant since this is the first time such a dialogue had taken place in the region. As such, it provided an opportunity for the participants to discover their growing community, build cross-cultural relationships and understanding, and develop local approaches to identifying and responding to emerging issues within the community. A total of 34 participants attended the forum. In reflecting upon the challenges of building stronger communities, participants noted the need for more opportunities to gather and share in each other’s cultural background. This, they noted, helps in overcoming pre-conceived ideas about other cultures and faiths. In identifying some of the everyday challenges, it was noted that increasingly the Lockyer Valley community is populated by settled and established residents, seasonal workers, and international students. In different ways, these groups bring diverse experiences that enrich the lifestyle of the local community. As such, it was noted that building stronger networks and connections across cultures has the added advantage of ensuring that the diversities of the local community are able to access available services and integrate effectively in the community. Importantly, participants noted the need to build stronger cross-cultural networks among the younger generation. The participants identified locally applicable ways of building stronger connections. These included more investment in community cohesion and networking, inviting each other to different cultural events, observing different holidays in the spirit of togetherness, establishing food night bd multicultural coffee shop for cafe dialogues, engaging with the university as part of promoting cultural diversity, connecting with seasonal working community and building trust and stronger relationship with local government. They also note the importance of engaging the media in highlighting positive contributions of the diverse members of the local community. Going forward, participants identified a few issues for discussion and reflection in future dialogues. These included: religious and cultural interaction, establishing a community garden in partnership with the local community, youth art, discussion around nature and environment, discussion on experience of labourers in the Lockyer Valley, immigration, and promoting cultural holidays. The next dialogues of the Ipswich/Lockyer Valley Community Dialogues Project will take place between February and March, 2017.